The poster for director Alex Lehmann’s comedy-drama, ‘Paddleton,’ which stars Mark Duplass and Ray Romano. Crafting an inspirational story that naturally combines playful humor and the serious question of what love looks like in action can be an intimating challenge. But director Alex Lehmann stunningly created an equally amusing and emotional story with his co-writer, Mark Duplass, for their new movie, ‘Paddleton.’ The comedy-drama is a captivating tale of the importance of finding moments of both light-hearted humor and serious hope as they learn to accept and embrace their fate. 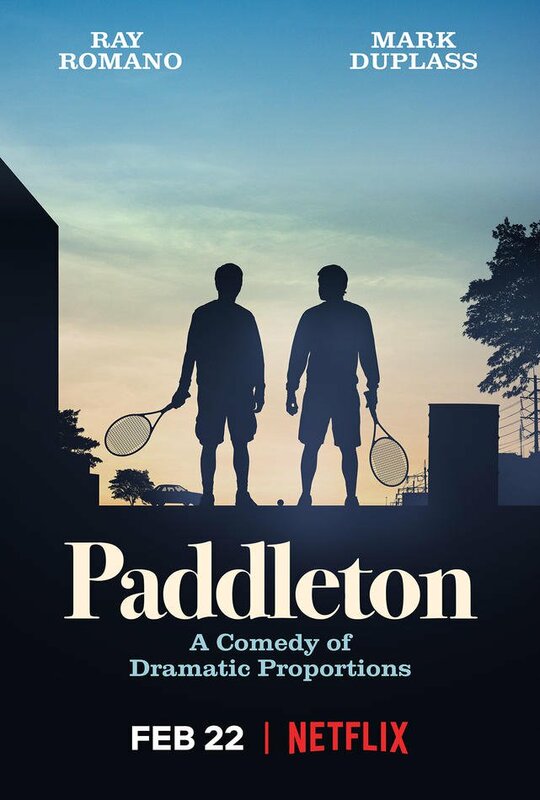 ‘Paddleton’ is set to have its World Premiere this Friday, February 1 at 9:30pm MT at the Eccles Theatre in in Park City during the Premieres section of the Sundance Film Festival. Following two additional screenings over the weekend, the comedy-drama will be released on Netflix on February 22. The story featured in ‘Paddleton’ highlights an unlikely bromance between two misfit neighbors. The two men, Michael (Duplass) and Andy (Ray Romano) embark on an unexpectedly emotional journey after Michael is diagnosed with terminal cancer. Suddenly facing their mortality, the two friends, who spend their free time playing the title game they made up, decide to go on a trip. Yet their literal expedition turns into a metaphorical one as their experiences reveal the true bond of friendship, and what that means between two men who use humor to avoid expressing any real emotion. Lehmann generously took the time recently to talk about writing and directing ‘Paddleton’ during an exclusive interview over the phone. Among other things, the filmmaker discussed that he was drawn to pen and helm a movie that focuses on learning how to let go of painful experiences and meaningful connections, because it’s a challenging thing in his own life. He also shared his appreciation and excitement over having the comedy-drama premiere at the Sundance Film Festival, as it not only allows audiences there the chance to see the powerful story on the big screen, but also offers him the opportunity to connect with other unique filmmakers. The conversation began with Lehmann explaining why he and Duplass where interested in telling Michael and Andy’s friendship. “We wanted to tell a story about these two characters who felt really alone in the world, yet had this really special relationship that’s hard to define, and certainly doesn’t have a model in this generation. These two men platonically love each other, and spend so much time together,” the scribe shared.